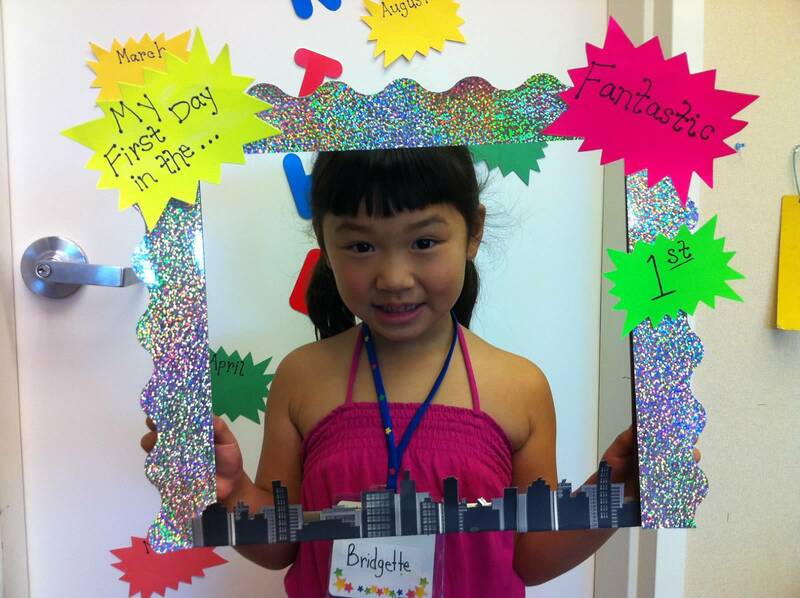 After a very long summer, Bridgette started first grade on September 11th. I think I was probably more excited than she was. Helping her prepare for the beginning of the school year was fun for me, bringing back memories of my own childhood. I remember always feeling both anxious and excited before the first day of school…..eager to find out who would be in my class, and how I would like my teacher. As we went shopping for school supplies and attended orientation, I couldn’t help feeling pangs of sadness as it hit me that Brianne was no longer with us this year. 🙁 Without Brianne around, I always feel like a part of me is missing. Kids are much more resilient though. The girls have both transitioned quickly back into their lives as the only child around the house, thousands of miles apart. They FaceTime, write letters to each other, and are constantly looking forward to December, when they can be together again. Bridgette’s teacher this year is Mrs. Bassett, who is very soft spoken and nice. She really made an effort to make the kids feel welcome in her class by preparing “magic sprinkles” for their pillows to ease away anxiety the night before, and to let them know over and over again how excited she was to spend the year with them.